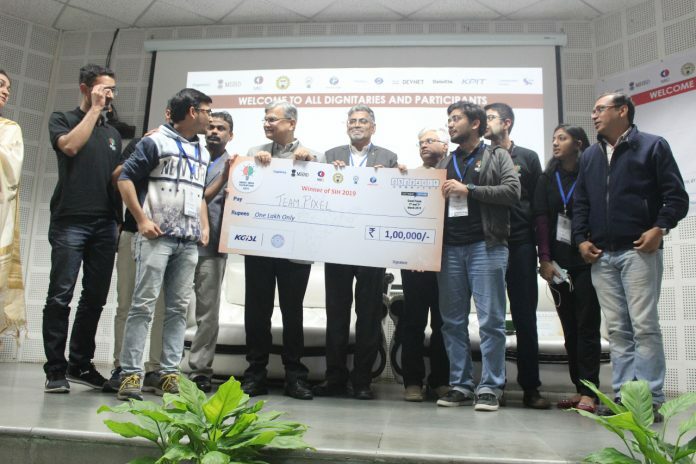 Roorkee: IIT Roorkee recently organized the Grand Finale of Smart India Hackathon 2019, Software Edition and hosted the event between 2nd and 3rd of March 2019. There were 48 nodal centres all over India and IIT Roorkee was chosen as one of them. Smart India Hackathon 2019 is a nationwide initiative to provide students a platform to solve some of pressing problems we face in our daily lives, and thus inculcate a culture of product innovation and a mindset of problem solving. This is an initiative of the Ministry of Human Resource Development (MHRD), Government of India and All India Council for Technical Education (AICTE). There were seven challenging and complex problem statements related to Robotic Process Automation (RPA) and Machine Learning (ML) to be solved by 28 teams comprising over 196 students from different parts of the country for development of software based industrial solutions. About 12 judges from industry and academia evaluated the students in three rounds. Each team had 8 members including two mentors. The competition was evaluated in two phases. The problem statement from KG Info Systems Pvt Ltd at nodal centre IIT Roorkee was coded for solution. The competition went on for continuous 36 hours. Mr. Amit Kumar Sinha, IPS, Director, Information Technology Development Agency, Government of Uttarakhand was the chief guest of Smart India Hackathon 2019. 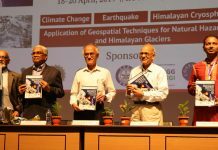 While as other dignitaries like Prof. Ajit Kumar Chaturvedi, Director, IIT Roorkee, Shri R. Shrinivasan, Vice President, KG Infosystems Pvt. 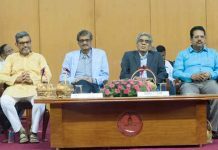 Ltd., Mr. Shripad Agavekar, AICTE Representative, Prof. Manoranjan Parida, Dean SRIC, IIT Roorkee, Prof. Balasubramanian Raman, Head Institute Computer Center and Single Point of Contact (SPOC), IIT Roorkee were also present. Shri Prakash Javadekar, Hon’ble Minister of Human Resources Development announced the start of the Smart India Hackathon 2019 on March 2, through Video Conferencing.